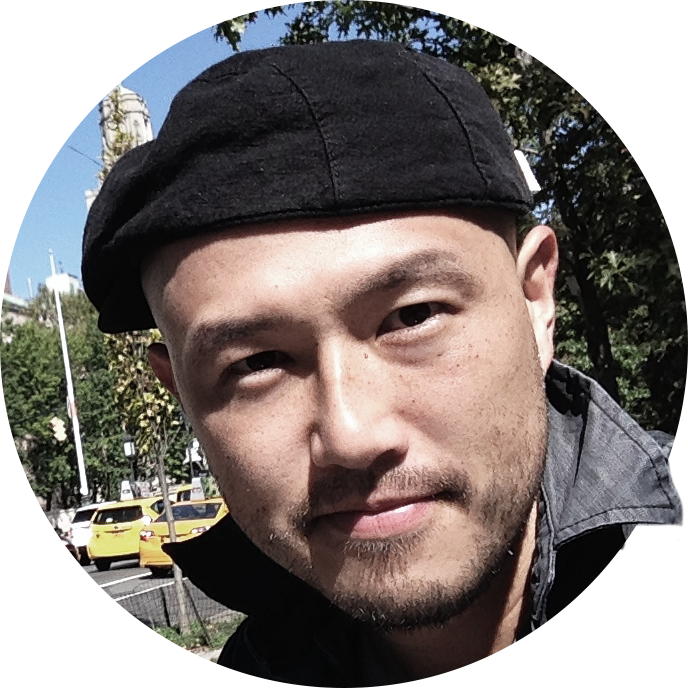 Fighting in Vietnam was an experience that would haunt him for the rest of his life. Images from the war still haunt him. Caroline was haunted by a fear of cancer. Did you remember to do the shopping? He never remembered to lock the door when he went out. It was a spooky coincidence. A flat owner claiming to be haunted by a ‘ghost’ he calls Dear David has shared an image of what he says is a demonic child staring at him in his bedroom. Adam Ellis, of New York, says he is haunted by the ghost of a dead child who is trying to kill him. The demon child apparently began appearing to him in dreams, with a misshappen, shrunken head coming to him whenever he fell asleep. After sharing footage of the supposed hauntings online in August, Adam quickly went viral. Still alive, three months later, he has shared his spookiest snap yet of the specter sitting in his bedroom staring at him. Cracks began to appear in the ceiling. One day a stranger appeared on my doorstep. The drug caused some babies to be born with misshapen limbs. His knee is badly misshapen from years of football and seven operations. The company faces shrunken profits for the third year in succession. ‘Last night I dreamed about him again. It was almost exactly the same as the first time I saw him,’ told The Sun. The demon child is said to have slithered over to him from his chair while Adam was paralysed on the bed unable to move. So trying to prove the evil being was real, he began taking pictures on his phone of the demon. ‘I thought, ‘If David is going to kill me, maybe I can at least get evidence on my phone’. I started snapping pictures in the dark,’ he said. The demon is then said to have crawled down off the chair and started shuffling towards him menacingly. Eventually it was face to face with him muttering in his ear before writhing away. When Adam woke up he let out a sign of relief – until checking his phone and realising the pictures were real. 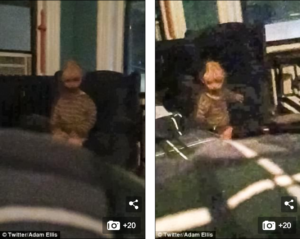 Chilling snaps appear to show a child-like figure sitting in a chair staring back at the camera – just as Adam described in his dreams. A long snake slithered toward them. She watched the snake slither away. They slithered down the grassy bank. The accident left him paralysed from the neck down. The accident left her paralysed from the waist down. She was paralysed with fear. The child crawled across the floor. The injured soldier crawled to safety. They crawled through the tunnel. She is just learning to crawl. I love shuffling through the fallen leaves. He shuffled into the kitchen, leaning on his walking stick. He writhed in agony on the ground. The pain was so unbearable that he was writhing in agony. She was writhing around/about on the ground. As he walked away, he let out a sigh of relief. The chilling truth is that the killers are still out there. Adam has been documenting the ghostly activities of Dear David since August. The abnormal phenomenons, which include his cats staring at the door at midnight every night, unmarked calls, and his local coffee shop appearing to mysterious shut down, have captivated hundreds of thousands of people and left him terrified. After a couple of weeks of silence, Adam came back on Twitter last month to share the latest two scary happenings, claiming that Dear David was back once again to torment him. The cartoonist first explained that one of his friends came over to his apartment in order to ‘cleanse’ the place. While he has received offers from many professional mediums and ghost-hunting TV shows, Adam said he had declined all of them because he wants to avoid ‘sensationalizing’ what has happened to him. Adam then told his 501,000 followers that for a while, things appeared to return to normal, after several months of escalating anxiety. But that all changed when Adam passed an abandoned warehouse on his way to work. Interestingly, the warehouse has appeared in his Dear David stories before. According to Adam, it used to be a bustling food cart repair depot, but it suddenly became vacant, apparently without any previous warning, after the presumed ghost started haunting his apartment. The cartoonist has also said he once had a dream in which Dear David dragged him around an empty warehouse. Adam said he was walking past the warehouse when he noticed something unusual. The cartoonist shared a photo of the parked hearse that he says was in the empty warehouse. Although he thought the sighting was ‘weird’, Adam didn’t think much of it, until another unusual event unfolded. The company plans to shut down four factories and cut 10,000 jobs. Both chemical factories were shut down for safety reasons. Three thousand people will lose their jobs if the factory shuts down. Their romance captivated the whole country. With her beauty and charm, she captivated film audiences everywhere. She was tormented by her memories. The mayor has promised to cleanse the city streets of crime. Textbooks are sent right from the warehouse to the schools. The goods have been sitting in a warehouse for months because a strike has prevented distribution. I presume you’ve already ordered lunch. I presume (that) they’re not coming, since they haven’t replied to the invitation. Events unfolded in a way that no one could have predicted. Like a lot of people, I’ve watched the events of the last few days unfold on TV.